If your order includes CPAP masks, machines, heated humidifiers or nebulizer compressors, we must have your prescription on file before we can ship your order. Please note that CPAP supplies and parts such as filters, tubing, water chambers, mask parts, cushions and pillows do not require a prescription. Fax your prescription to our toll free fax number: 1-855-505-9178. Email your prescription to info@canadacpapsupply.com. NOTE: If you fax or email a prescription, please write your order number on your prescription. Did you know that you can often get a CPAP prescription from your primary care physician? If your doctor has a record of your sleep study or knows that you use CPAP, he or she will most likely be happy to write a prescription for your supplies. This method can also generally be completed faster than going through a specialist. We have a prescription form your doctor can use. Your prescription can be handwritten on a standard prescription pad. It must include the physician's name, contact information and signature of the care provider; your name; and a statement about the equipment needed, for example “CPAP” , “BiPAP”, “CPAP Mask”, “CPAP Humidifier” or “CPAP Supplies”. A prescription for a Standard CPAP must include a set pressure setting. Note: Under privacy regulations, you have a right to request a prescription from your physician. If you have difficulty accessing your prescription, please contact our Customer Service team for assistance. Live Chat: Click on the live chat link at the center-top of any page on this site. I have an old prescription. May I still use it? Prescriptions may be written for "Lifetime Need" or "99 Months". Such a prescription may be used for the prescribed equipment as often as needed to continue therapy. If a prescription notes a number of refills, it will be valid to dispense the listed equipment the number of times shown on the prescription. If a prescription bears an expiration date, the prescription is good through the date shown. If you are not sure about the validity of a prescription, send it to us and we will determine its condition. 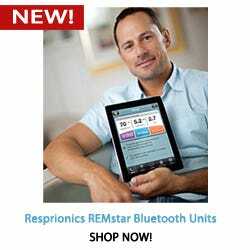 Who can write a CPAP prescription? Can my prescription be written in a language other than English? Yes. We can accept prescriptions written in any language from a Canadian physician. 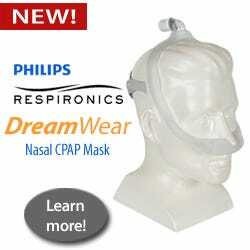 Will you accept a CPAP prescription from a doctor outside Canada? No. Prescriptions must be written by a Canadian physician. 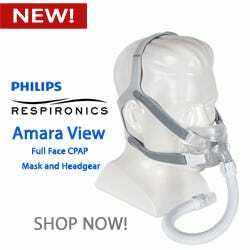 How can I submit my prescription to Canada CPAP Supply? Fax your prescription to our Toll Free fax number 1-855-505-9178. Below we’ve outlined the various required elements of prescriptions for various types of CPAP equipment. All medical prescriptions must include the patient’s name, the prescribing physician’s full name, the physician’s contact information and the physician’s signature. 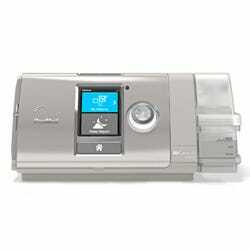 One of the following phrases: "CPAP" or "Continuous Positive Airway Pressure". Specific pressure, for example, “9 CM/H2O”, or simply “9”. One of the following phrases "APAP", "AutoPAP", "AutoSet", "Auto CPAP", "Auto Adjusting CPAP", "Self Adjusting CPAP", "CPAP" or "Continuous Positive Airway Pressure" or similar term. Optional show your pressure range. Example: “5-20 CM/H20”, or simply “5-20”. One of the following phrases "BiPAP", "BiLevel", "VPAP". Your inspiration pressure (Also called IPAP Pressure or Breathing In pressure), for example, “IPAP 11 CM/H20”, or just “IPAP 11”. Your expiration pressure (Also called EPAP Pressure or Breathing Out pressure), for example, “EPAP 13 CM/H20”, or simply “EPAP 13”. One of the following phrases "BiPAP", "BiLevel", "VPAP", "BiPAP Auto" . 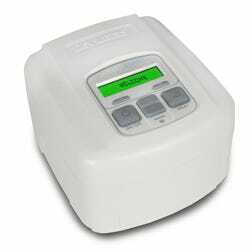 Inspiration pressure (IPAP) and expiration pressure (EPAP) are NOT required for the BiPAP Auto. Contains one of the following words or phrases "BiPAP ST", "Synchrony ST", "VPAP ST" . Contains a backup rate or BPM setting. Contains your inspiration pressure (Also called IPAP Pressure or Breathing In pressure), for example, “IPAP 12 CM/H20”, or simply “IPAP 12”. Contains your expiration pressure (Also called EPAP Pressure or Breathing Out pressure), for example, “EPAP 18 CM/H2O”, or just “EPAP 18”. Contains one of the following words or phrases "BiPAP SV" or "BiPAP Servo Ventilation". May or may not contain a backup rate or Breath Per Minute (BPM) setting . Contains your IPAP Min and Max or Minimum and Maximum Inspiration Pressure (breathing in pressure) or the settings can be provided to us. Examples: “IPAP Min 6 cm/H20 - IPAP Max 15 cm/H20”, “IPAP Min 6 cmwp - Max 15 cmwp”, “IPAP Min 6 - IPAP Max 15”. Contains your EPAP or Expiration (breathing out Pressure) or the setting can be provided to us. This may be called the EEP (End Expiratory Pressure). Examples: “EPAP 5 cm/H2O”, “EPAP 5 cmwp”, “EPAP 5”. Sample of wording for a complete prescription for a BiPAP Auto SV to include Back Up Rate: “BiPAP SV”, “IPAP Min 6 cmH2O”, “IPAP Max 15 cm H2O”, “EPAP 6 cmH2O”, “13 BMP”. Contains one of the following words or phrases “BiPAP ST”, “AVAP”, “BiPAP AVAP”, “BiLevel AVAP”, or “Average Volume Assured Pressure Support”. Contains the Tidal Volume Estimated. Contains one of the following words or phrases: “CPAP Mask”, “CPAP Supplies”, “CPAP Humidifier”, “CPAP”, “Continuous Positive Airway Pressure”, “APAP”, “AutoPAP”, “AutoSet”, “Auto CPAP”, “Auto Adjusting CPAP”, “Self Adjusting CPAP”, “BiPAP”, “BiLevel”, “VPAP”, “BiPAP Auto”, “BiPAP ST”, “Synchrony ST”, “VPAP ST”. Contains one of the following words or phrases “CPAP Humidifier”, “Humidifier”, “HH”, “CPAP Supplies”, “CPAP Mask”, “CPAP”, “Continuous Positive Airway Pressure”, “APAP”, “AutoPAP”, “AutoSet”, “Auto CPAP”, “Auto Adjusting CPAP”, “Self Adjusting CPAP”, “BiPAP”, “BiLevel”, “VPAP”, “BiPAP Auto”, “BiPAP ST”, “Synchrony ST”, “VPAP ST”. A prescription is not required in Canada. 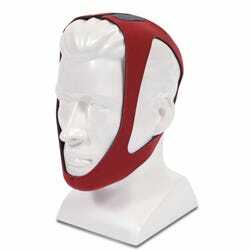 Do I still need to provide one for mask and/or machine purchases? Yes. We do understand that Canadian laws do not require a prescription. However, we must adhere to US and Canada laws; with the most strict law taking precedence, in order to maintain full compliance. Though a prescription is not required in Canada, the mask/machine leaves from a US facility. As a result, it will require a prescription.